Only got 5 minutes to get ready in the morning? Me too! Now that my hair’s growing out, I’ve been rocking a few ways of rocking my TWA and I’m loving how quick and easy they are. 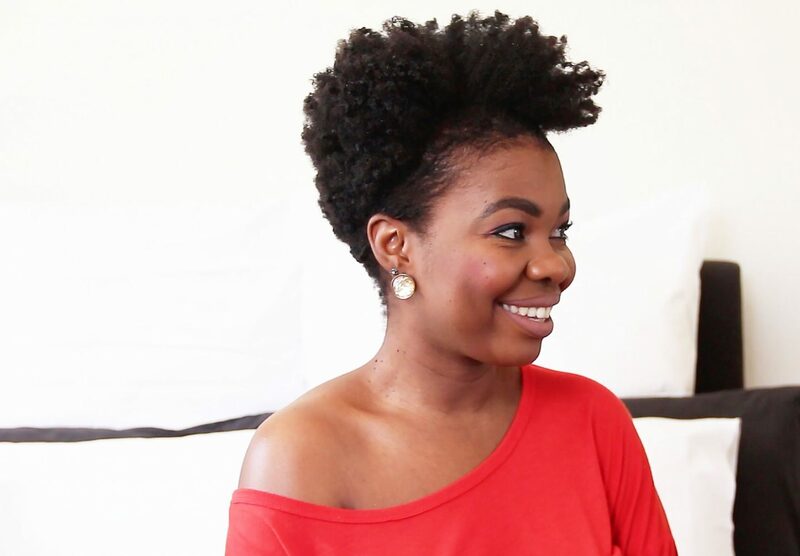 Because I still don’t have time and want to keep my hair routine as fuss-free as possible. This was hands down my most requested video topic so thanks to all of you who chimed in to let me know what you’d like to see. It’s the first of a few requested videos that I’ll be posting, so keep an eye out for them. Or better yet, subscribe to my channel! Hi Aisha, it was great meeting you yesterday at Shea Moisture/True Love Hair Journey. I currently have relaxed hair and would like to transition back to natural. What products in the Shea Moisture range would you recommend as a starter for this new journey? Also how often should one shampoo their hair in order for the hair to stay healthy & clean at all times. Hi, I don’t really have a trimming schedule. I just do it on average maybe two to three times a year. If I have unhealthy ends, they must go to make way for my new growth so I’m not afraid to let them go. If you need to trim that often, perhaps look into the actual health of your hair and how to fix it? There can be many reasons so the best way is to rule things out one at a time. You can also try going to a hair specialist to assess your hair for professional feedback. Hope that helps! OMG! I can’t deal. I absolutely love all of the hairstyles. I’m trying to decide if I should grow my hair out for another year of rye it right now. Great article and tutorials once again! Look 2 was my favourite. Thanks Milo, glad you enjoyed! Hi Aisha, your hair looks great! I’ve got a question, are you experiencing any post partum shedding? If so how are you dealing with it?